I’m happy to share with you the cover for Regina Scott’s newest book which is also the beginning of a new series. Be sure to watch my blog in May for an announcement of the release and my review of this book. I have read several of her books so far and have really enjoyed them. 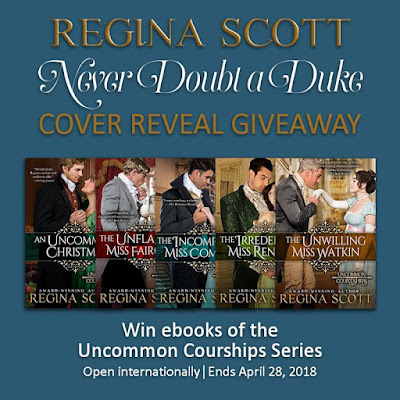 Be sure to look further in this post for information about another one of this author’s books that is free on Amazon until April 28 and for a giveaway of all the books in one of her series! This sweet, clean Regency romance is the first in the Fortune’s Brides series. I would like to thank Regina Scott for giving me this copy of the book. This gift did not influence my opinion or review. Grab your FREE ebook from Amazon here! New author for me. Exciting.